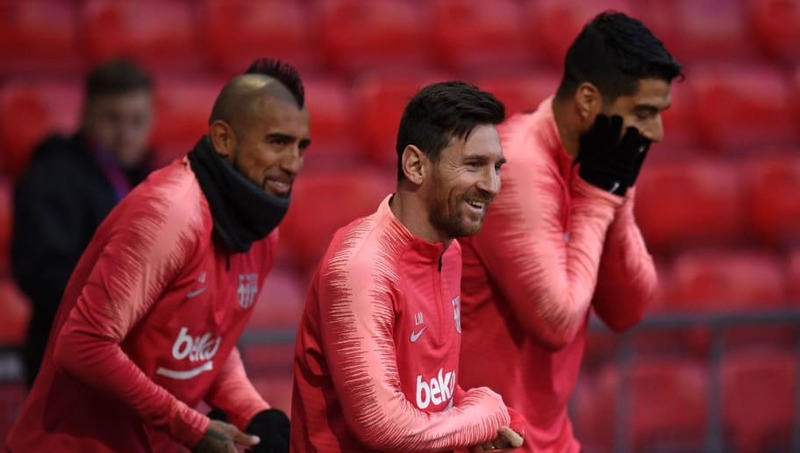 ​Barcelona will rest a number of key stars during Saturday's La Liga clash with SD Huesca ahead of the second leg of their Champions League quarter final tie against Manchester United. The La Liga champions earned a slender first leg advantage with a 1-0 win at Old Trafford on Wednesday and still have plenty to do before completing the job against Ole Gunnar Solskjaer's side on Tuesday. With Ernesto Valverde's side boasting a comfortable 11-point lead at the top of the La Liga table ahead of their match away to basement side Huesca on Saturday, ​Barcelona have opted to leave star men ​Lionel Messi and ​Luis Suarez at home, as reported by ​Marca. The Champions League tie has clearly taken priority in Valverde's immediate plans, with key players Gerard Pique, Sergio Busquets, ​Ivan Rakitic and Sergi Roberto also omitted from Saturday's squad - though many of those left would not have been available anyway. Both Suarez and Pique were due to miss out at the Estadio El Alcoraz due to suspension, whilst Rakitic and Roberto were each unable to train ahead of the game as they had suffered with a fever. Lionel Messi felt the force of the Premier League rigours as he collided with Chris Smalling during Wednesday's clash at Old Trafford, and it is suggested that a rest for the Argentine may be beneficial ahead of the return leg at Camp Nou. With a host of star names not included in Valverde's squad for the trip to face their Aragon-based opponents, rising young stars such as Riqui Puig, Abel Ruiz, Moussa Wague and January signing Jean-Clair Todibo have been drafted into the champions' ranks.